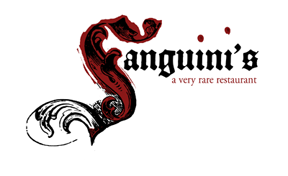 Cynsations: Guest Post: Jennifer Swanson on Nonfiction Picks Up STEAM! 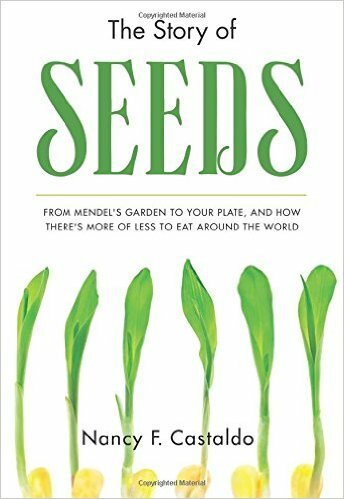 Guest Post: Jennifer Swanson on Nonfiction Picks Up STEAM! If you’ve been to a bookstore lately, you may have noticed the STEAM-y new trend in nonfiction children’s books. No, I’m not talking about romance novels, it’s STEAM—Science Technology Engineering Art and Math. From picture books to middle grade, to YA, STEAM topics are hot right now. 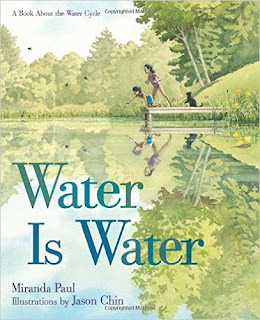 Miranda Paul’s book Water is Water (Roaring Brook, 2015). 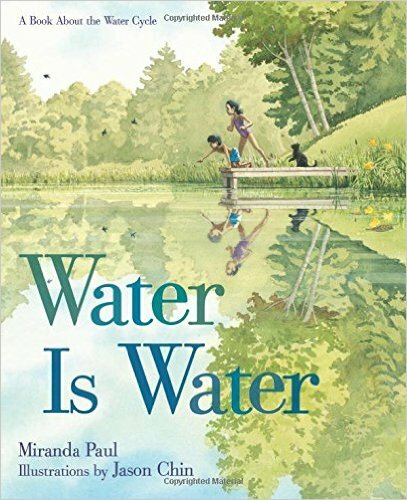 It gives a beautiful and lyrical explanation of the water cycle for young readers. 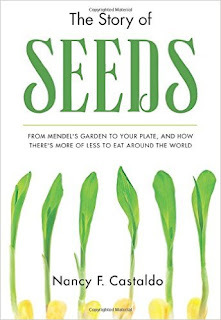 Nancy Castaldo’s book, The Story of Seeds: From Mendel's Garden to Your Plate, and How There's More of Less to Eat Around the World on Seeds (Houghton Mifflin, 2016), talks about the genetics of plants. 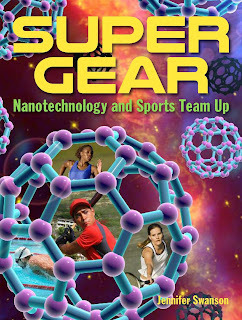 And my own Super Gear: Nanotechnology and Sports Team Up (Charlesbridge, 2016) which introduces the reader to the cutting edge science through high performance sports. So, how do you jump on board this STEAM-y trend? 1. Ask questions like a kid. Kids are naturally inquisitive. They are always asking how things work, why things happen, and where things come from. For example: Your brain can store up to 2.5 petabytes of knowledge—That’s like 300 years of T.V. shows! Kids want to understand so when explaining things, break complex ideas into simple ones. The best way is to use kid-friendly examples, something that taps into the knowledge they have. For instance, instead of saying something is 10meters tall, say it’s 3 stories high. One hundred twenty yards becomes as big as a football field. 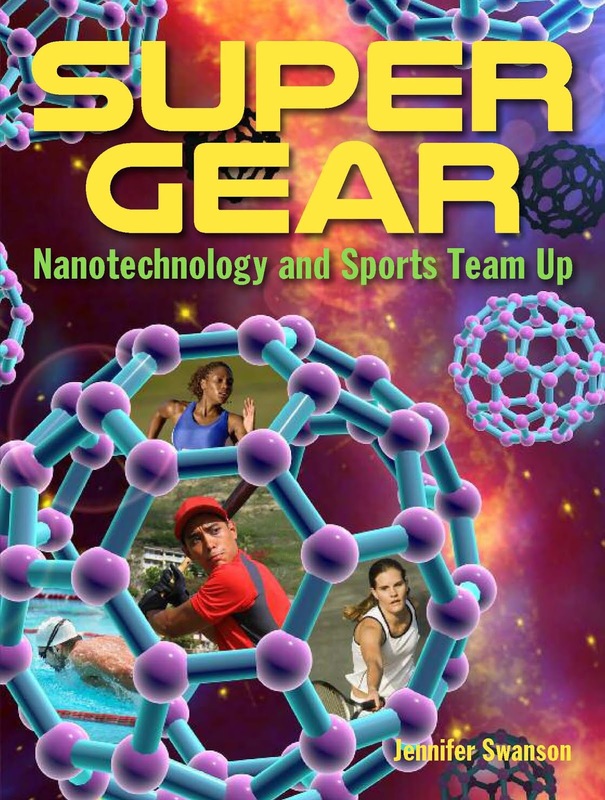 A nanoparticle is 100,000 times smaller than the edge of a piece of paper. Use kid-friendly language. Activate your words! Use short sentences to amp up the excitement or tension. Use longer sentences for explanation to make sure your readers understand the concepts you want to get across. Then mix things up. Put short sentences after long sentences. Add endings like, “Now that’s tiny!” or “Bet you didn’t know that.” It makes your tone more exciting and conversational. Sometimes the best way to capture your reader with science is to gross them out. They are, after all, kids. Children have very vivid imaginations. By using fun rhyming, rhythmic language, and amazing descriptions, you will grab their attention and get them to think. You can also fill your book with awesome illustrations and photographs to get your reader to visualize what is happening in the book. Following these tips may help you to STEAM into nonfiction with your own books! 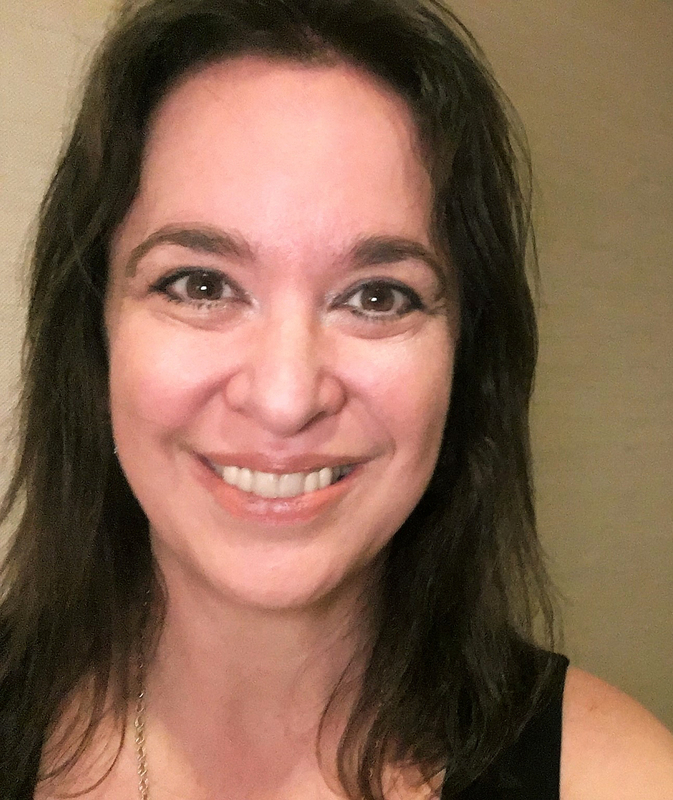 Jennifer Swanson is a self-professed science geek and the author of over twenty-five nonfiction and fiction books for kids. She is the author of Brain Games (NGKids, 2015) and the forthcoming Super Gear. Her book How Hybrid Cars Work (The Child’s World) received a starred review from Booklist and also a Top 10 Books for Youth 2012 Award from Booklist Online. Great post Jennifer Swanson. Your ideas here are tried and true - get on the kid's level and think like they do. Will help my writing focus more. Thank you very much. Great post, Jennifer! Thanks for all of the tips! I think most kids are natural born scientists. Sadly, the focus on memorization and testings in schools these days has taken the joy and fun out of science. I've seen this happen in my 8th grade daughter :( That's another reason why STEAM books are so important--to engage them! Your new book looks like a great read--looking forward to it! Great post. I love all your examples as well. Thanks for these wonderful tips. Fabulous, Jen. You gave EXCELLENT examples of how we can write in a more kid-friendly way...THANK YOU!!!! wow its good and i would like you to work with my school just click here www.unn.edu.ng Thanks.